It was my turn (Carol) to select the features this week, but before we check them out, let’s see what your hosts have been up to. 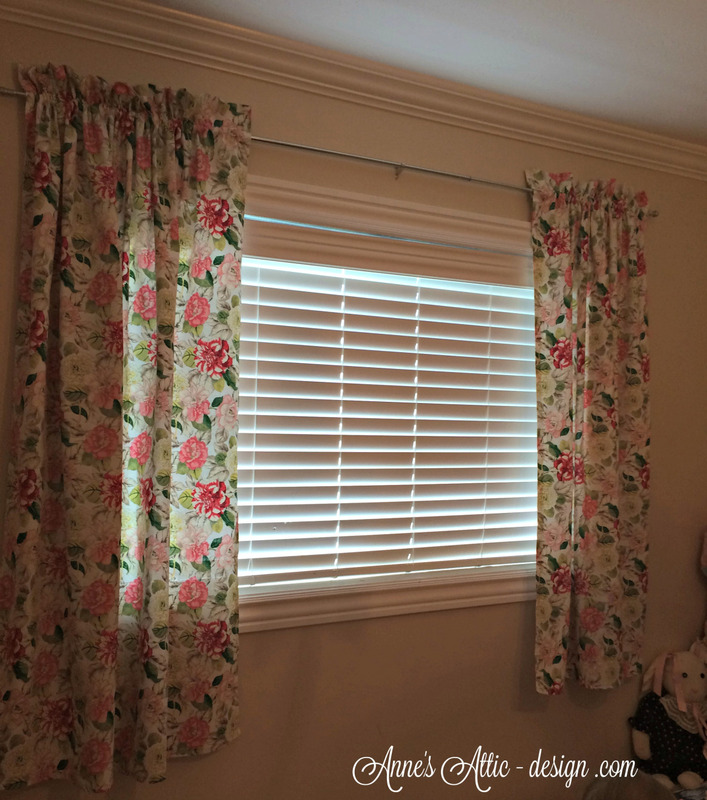 Jo has been busy Decorating With Florals as she creates a special bedroom for her granddaughters. 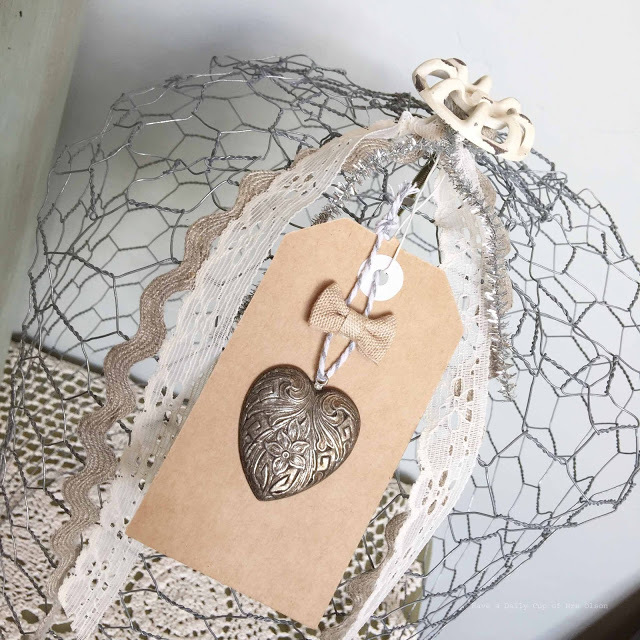 In Cloche Encounter of the Chicken Wire Kind, Jann shared a tutorial on how to make a chicken wire cloche. 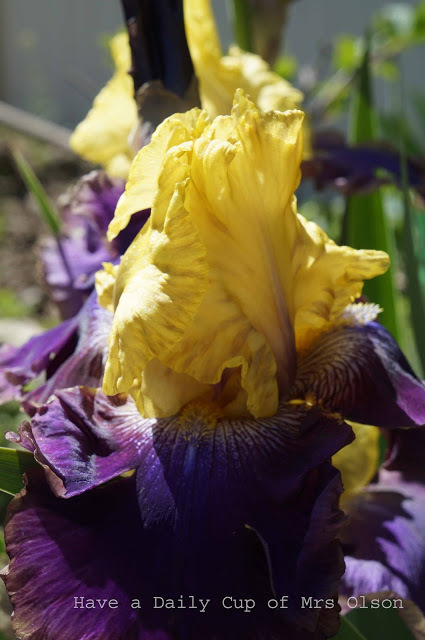 In her post, The Flags That I Love, we learned that German irises are called Flag Iris. 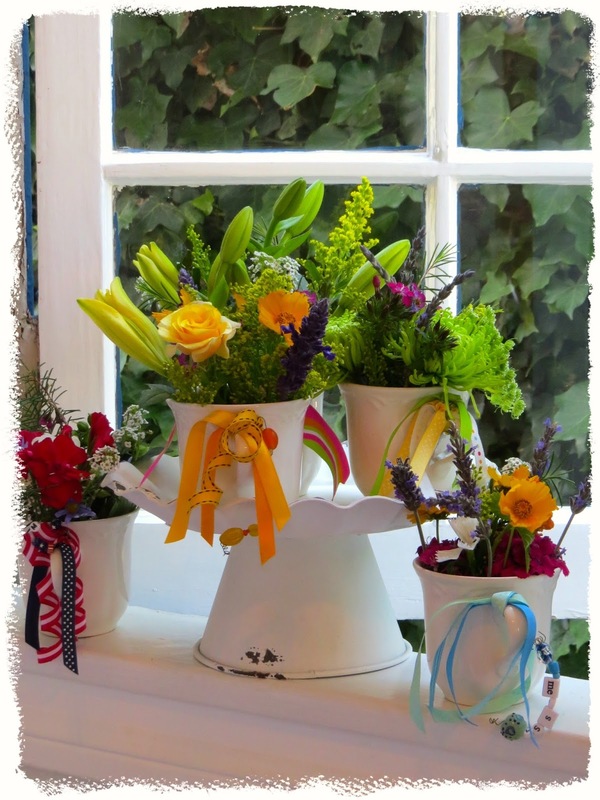 In Time For Tea, I shared the gifts I made for the ladies of my family when we met up in Beverly Hills for high tea. 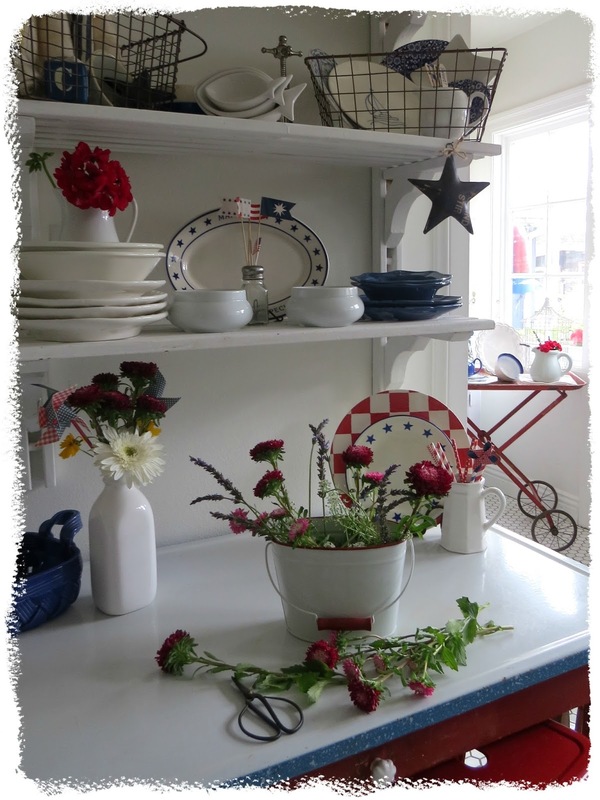 With summer just around the corner, I shared the Red, White & Blue popping up all over our house. 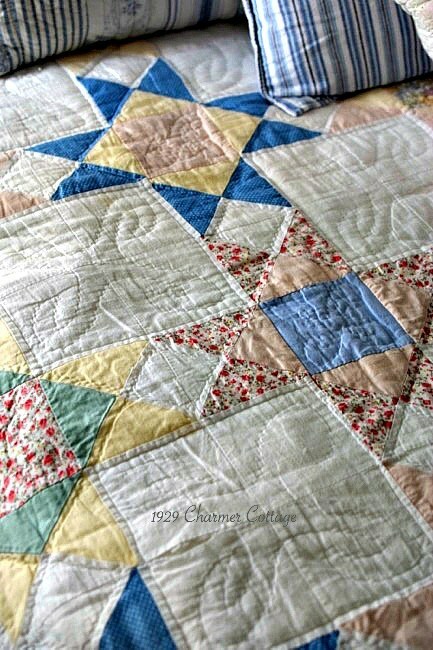 I love finding the perfect item when I’m not even looking for it and that is exactly what Cathy of My 1929 Charmer did when she found A Cottage Quilt for the Master Bedroom. 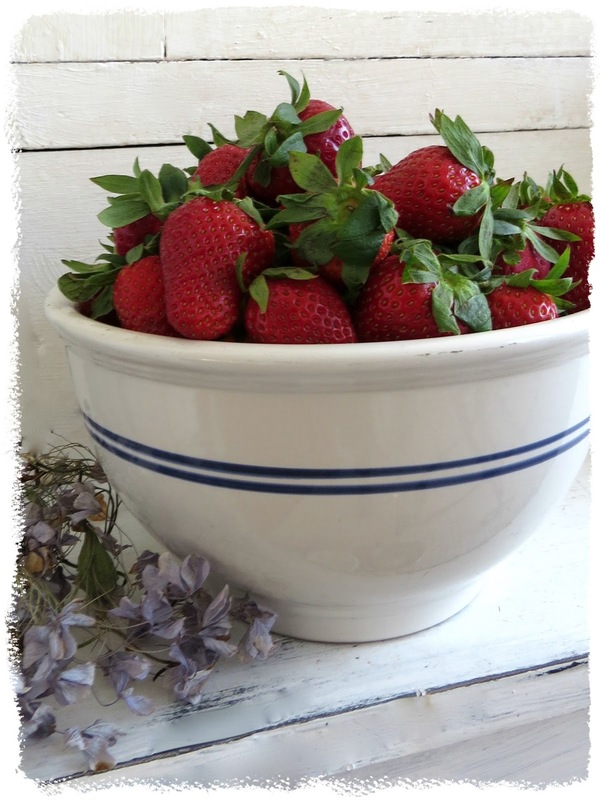 Diana of Adirondack Girl @ Heart shared a cute craft of making Signs from Vintage Ironstone. 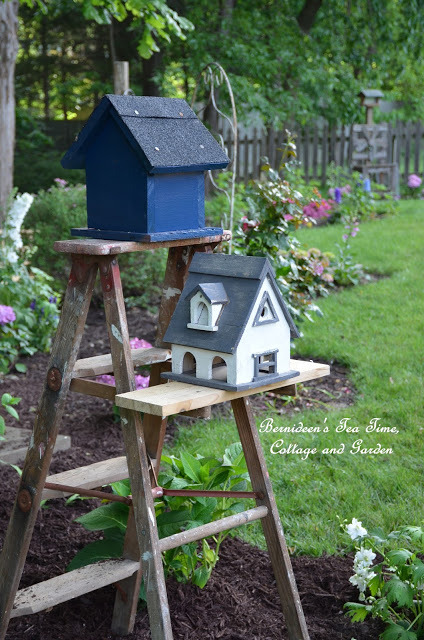 I love what Bernideen of Bernideen’s Tea Time did with An Old Ladder, so much, that I copied her and did something similar with my ladder and birdhouses. 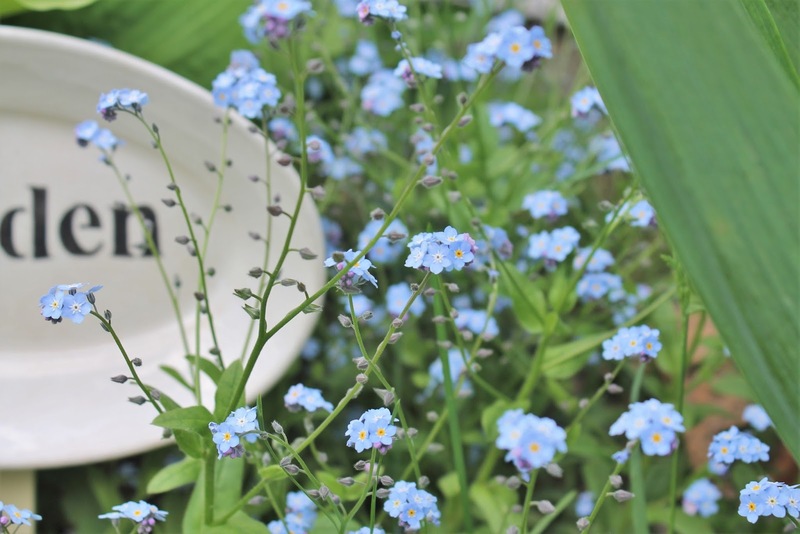 Jan of Just Jan Blog shared the cozy home and beautiful landscapes of Louise Townsend – I want to walk the grounds taking photos and then sip tea while sitting in her “blue room”. 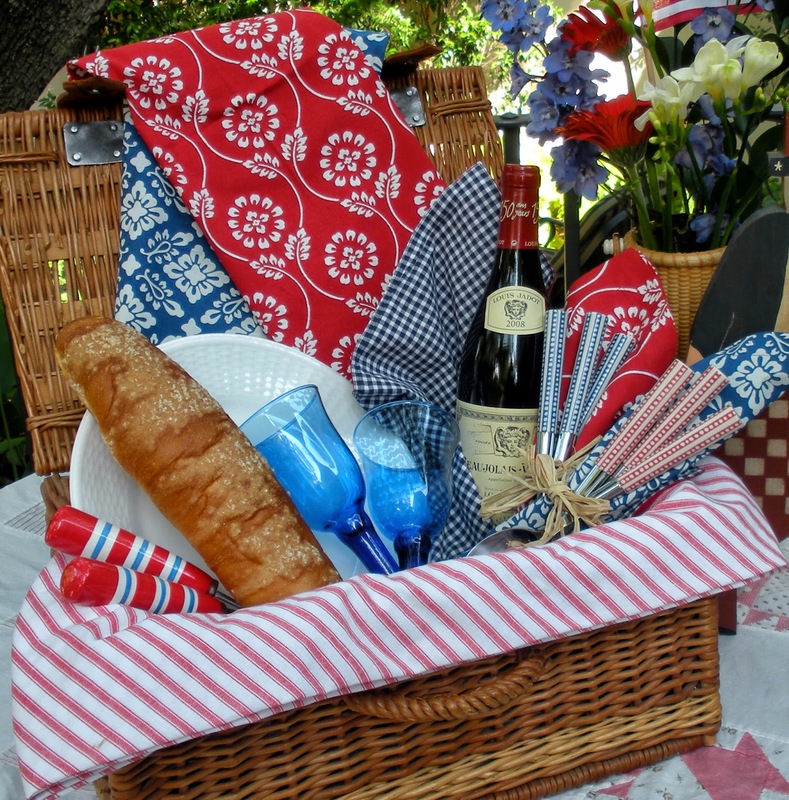 I fell in love with this fun patriotic picnic basket shared by Sarah of Hyacinths for the Soul – oh, that flatware! 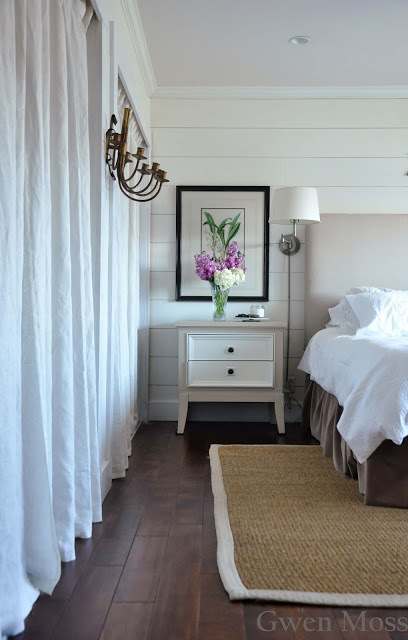 Leslie of Gwen Moss shared her Classic Cottage Bedroom Reveal and I love how she replaced sliding mirror closet doors with the soft look of fabric. Thanks for sharing and be sure to grab the button if your were featured. 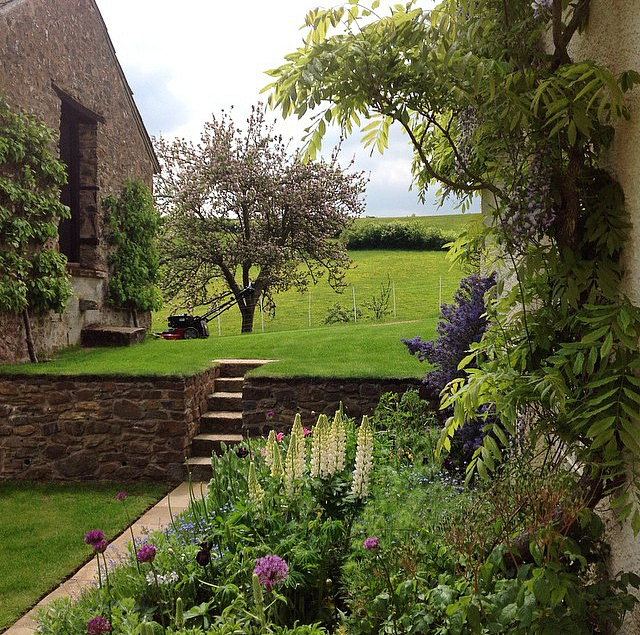 This entry was posted in Uncategorized by Anne's Attic - design. Bookmark the permalink. Thanks for hosting. I was finally able to link through your blog! Whew!! 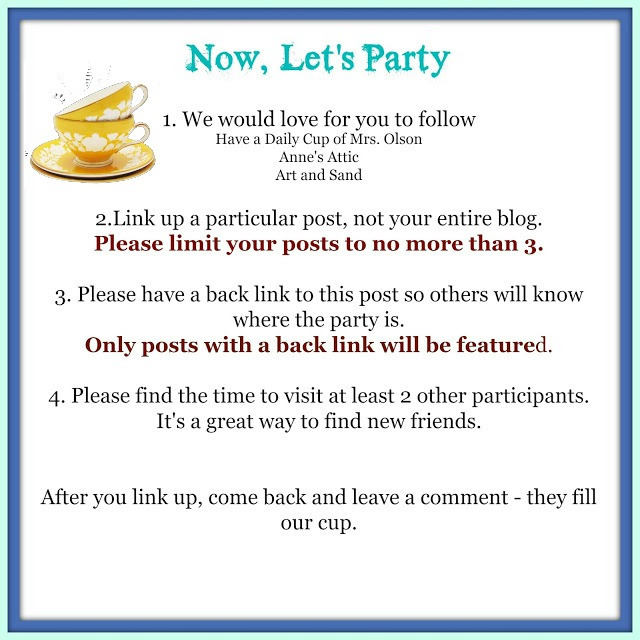 Thanks most sincerely for hosting this so beautiful party and for the lovely features, as well, sweetest Jo ! Nice photos! I like the touches of red, white and blue. I’m not a person to use that color combination, but I chose my sunroom to decorate All red, white and blue with flags, Sakura flag china, etc and it looks awesome. Thanks so much for the giveaway. Jo, I love what you’ve done with your granddaughter room. And I just wanted to stop here to thank you for hosting, along with Jann and Carol. You three are amazing! I love this party every week! Thanks to the lovely ladies who host! It is our pleasure. Thank you for sharing.